What does thug life mean? Especially in black hip-hop culture, thug life refers to a determined and resilient attitude to succeed in life in spite of racism and injustice. Miley chooses when to be ‘ghetto’ or down with black folk but at the end of the day she will not experience the cultural realities of a poor black community ridden with violence or live in the ‘ghetto.’ Their [sic] is no imitating ‘thug life.’ You either have lived it, are living in it, or trying to escape it. There are no substitutions to it. But also, the title itself comes from the tattoo that he had across his abdomen that so many people know him for, that thug life tattoo. And what people don't realize is that it actually stood for, the hate U give little infants effs everybody ... And he explained that as meaning that what society feeds into youth has a way of coming back and affecting us all. Where does thug life come from? Though the term thug life is commonly misinterpreted to mean “criminal life,” this is not actually the intention of the phrase. Thug life is a term used with pride, to describe a person who started out with nothing and built themselves up to be something. The word thug took on a racialized subtext in the latter half of the 20th century, especially for impoverished black people living in urban communities, regardless of whether these people engaged in criminal behavior or not. According to African American Studies professor Michael Jeffries, this connection between being black and being a “thug” rose particularly during the same era in which mass incarceration rose to record levels. These communities started reclaiming the word thug as a countercultural rebellion against racism, adopting the term as a form of self-empowerment and protest. I don’t consider myself to be straight militant. I’m a thug, and my definition of thug comes from half of the street element and half of the Panther element, half of the independence movement. Saying we want self-determination. We want to do it by self-defense and by any means necessary. That came from my family and that’s what thug life is. It’s a mixture. 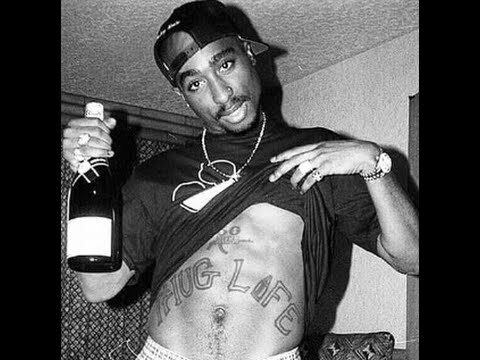 Tupac notably had a tattoo saying thug life across his stomach, but once again, the meaning of this tattoo is often misinterpreted to be negative or criminal. In fact, Shakur once explained in an interview that THUG LIFE was actually an acronym standing for “The Hate U Give Little Infants Fucks Everybody.” Tupac’s acronym still forms, for many, the core philosophy of thug-life: Children are the future, and so filling children’s minds with hate, raising them in an oppressive political system, and asking them to accept horrendous things like racism, sexism, and police brutality, has a snowball effect, which eventually destroys life for everyone, even the oppressors. 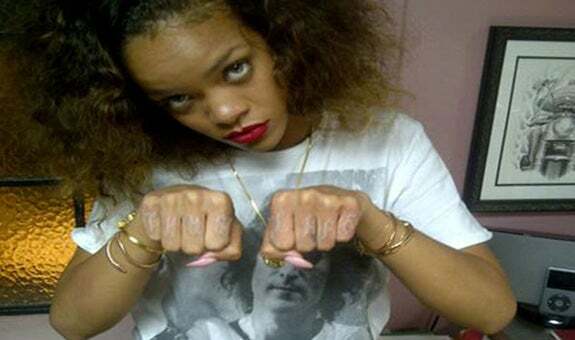 Since Tupac’s death, the phrase and philosophy behind thug life has continued to influence many, including the singer Rihanna, who had THUG LIFE tattooed on her fingers in 2016. 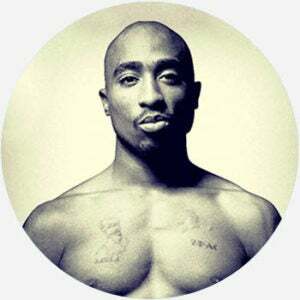 Tupac’s use of thug life as a rallying cry for the oppressed continues to be referenced in hip-hop and popular culture today. In 2014, a thug-life online meme took off, where videos showed a child, animal, or person doing something unexpected, inappropriate, or extraordinary, such as a crow swearing in English or Bill Gates jumping over a chair. In the videos, the impressive incident is then followed by the video slowing down, zooming in on the subject’s face, and playing a clip of music from Tupac, the Geto Boys, or another rap artist of the 1990s thug life heyday. 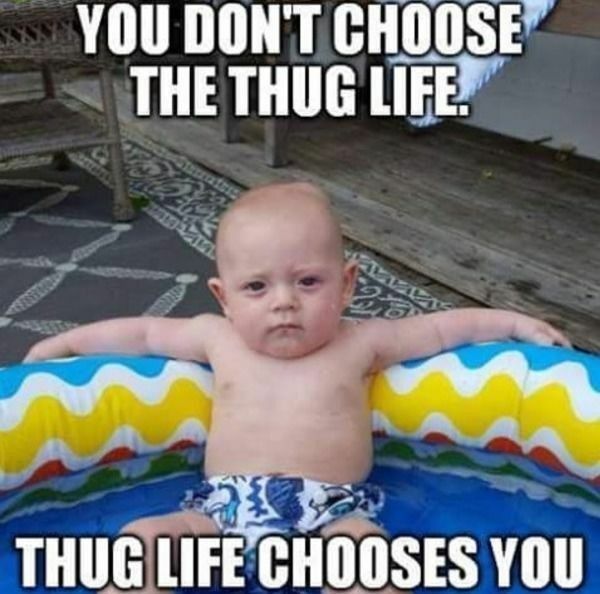 While these memes don’t depict the original thug life philosophy, some of the videos recognize that thug life is supposed to be a positive achievement, as opposed to a negative one. In 2017, Author Angie Thomas used Thug Life as a central plot point in her young adult novel, The Hate U Give. The book, which has been turned into a movie starring Amandla Stenberg, follows a teenager named Starr whose friend is shot by police shortly after he tells her about Tupac Shakur and Thug Life. The phrase goes on to be a central plot point in both the book and the film. In spite of its origins, thug life has been used to stereotype black urban youth as criminal. It’s also been used to stand for hip-hop culture. Be mindful of the term thug on its own. Using the term thug to describe a black person can be interpreted as a racial slur. Barack Obama, for instance, controversially called April 2015 Baltimore rioters thugs. Famous figures such as Seattle Seahawks cornerback Richard Sherman have spoken out against the term’s use, saying that calling someone a thug “seems like it’s the accepted way of calling somebody the N word nowadays.” However, in some Black communities, a thug is a positive, in-group identifier. Online, the hashtag “#thuglife” is used as ironic commentary on small acts of defiance (e.g., touching an object even though a sign asks the public not to).